A group of tobacconists and a premium cigar manufacturer in Texas say the FDA’s new cigar warning requirements are a violation of their First Amendment rights, and so they have united to file a joint lawsuit against the government agency. The complaint was filed last Thursday in the U.S. District Court for the Eastern District of Texas by En Fuego Tobacco Shop, which operates three locations; Cuba Libre Enterprises, owners of the El Cubano Cigar Factory; and the Texas Cigar Merchants Association that represents premium cigar manufacturers and retailers in the state. This lawsuit is separate from the complaint filed by the cigar industry against the FDA back in 2016 in Washington D.C. The D.C. lawsuit, which is still ongoing, represents the entire cigar industry, including premium cigars, little cigars as well as machine-made and mass-market cigars, while the complaint filed in Texas focuses solely on the premium cigar sector. Currently, nearly every cigar package on the market displays one of four warnings that was settled upon in 2000 when the Federal Trade Commission and the then seven largest U.S. cigar manufacturers agreed to include health warnings on their products. In that case, it was decided that the FTC warnings must cover between 13 to 15 percent of one cigar box panel. • Comprise at least 30 percent of each of the principal display panels. • Be printed in at least 12-point font size. • Be printed in conspicuous, legible Helvetica bold or Arial bold type, or other similar sans serif fonts, and in black text on a white background or white text on a black background in a manner that contrasts by typography, layout, or color, with all other printed material on the package. • Be capitalized and punctuated. • Be centered in the warning area in which the text is required to be printed and positioned such that the text of the required warning statement and the other information on the principal display panels have the same orientation. 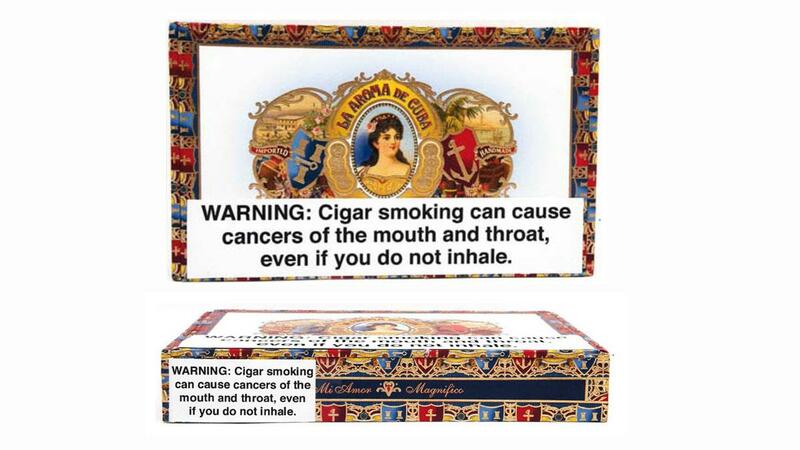 Cigar box images included in the lawsuit depict the sheer size and stark format of the warning labels. The Texas lawsuit argues that the warning plan “is an unprecedented incursion on First Amendment liberties. The harm to freedom of speech is especially severe for retailers: If a neighborhood tobacconist wants to announce a sale, or even just to tell its customers about a new cigar on offer, it must ask the FDA’s permission with at least one year of lead time. 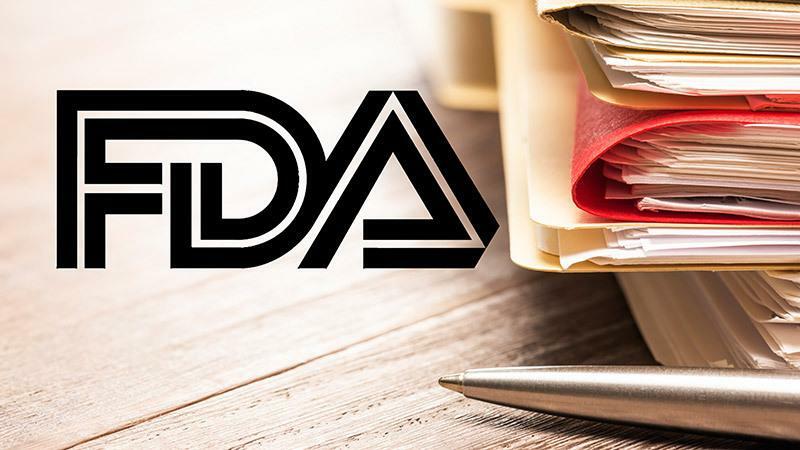 The Cigar Rights of America also sees the lawsuit as a positive step in the cigar industry’s fight against the FDA’s Final Rule.